Engel and Summit Systems have announced they will collaborate on a technology spectacular when they exhibit at Interplas in 2020. The two companies have secured prime positions at the front of Hall 3 of the NEC in Birmingham, to maximise the opportunities offered by the show’s new, increased size. Interplas in 2020 will, for the first time in 15 years, have two full halls of exhibition space, with two separate entrances. This expansion represents an increase in size of 25 per cent versus the last event in 2017. Previously both Engel and Summit Systems have taken stands in Hall 4, however, both companies say that the opportunity to expand stand size enables them to have plenty of their machines operating mechanically, supplemented by visual displays. Additionally, Summit Systems will supply an Engel injection moulding machine with a discrete loading system to showcase the firm’s very latest technology. 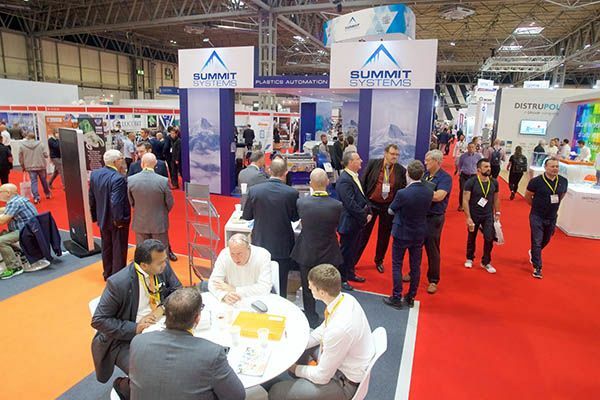 Interplas, which is the UK’s largest plastics industry exhibition, is expecting some 14,000 attendees and 500 exhibitors when it takes place from 29 September – 1 October 2020. Duncan Wood, CEO of Rapid News Group, which organises Interplas, said: “For major industry names such as Engel and Summit Systems to secure prime positions in a new hall shows the confidence they have in Interplas. Interplas 2020 will take place at the National Exhibition Centre (NEC), Birmingham, from 29thSeptember – 1st October 2020. Visit www.interplasuk.com for more information.